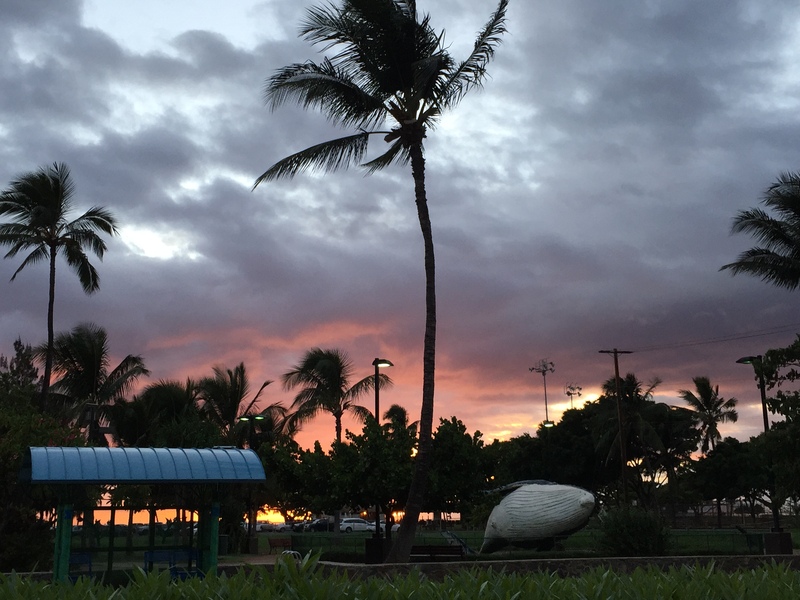 We love Maui. It’s easy. Doesn’t require a passport or learning a language. We have our favorite places to go, and it’s just an easy way to relax. Our first stop is always Paia Fish Market. 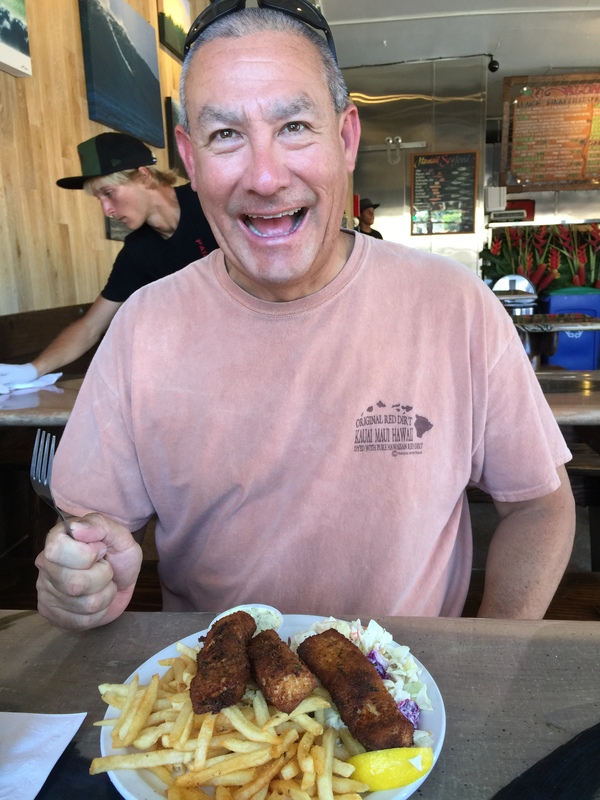 We travelled on Terry’s birthday (9/11) and landed in time to have lunch in Paia. Now that they have opened a “Southside” location less than a mile from our condo, we were able to enjoy their meals two more times during our trip. 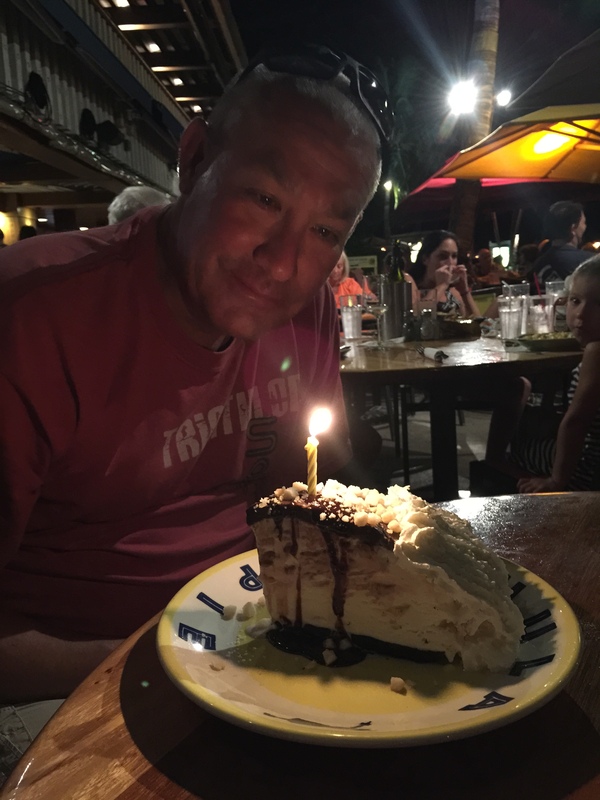 Birthday “Hula Pie” which is as delicious as it looks. 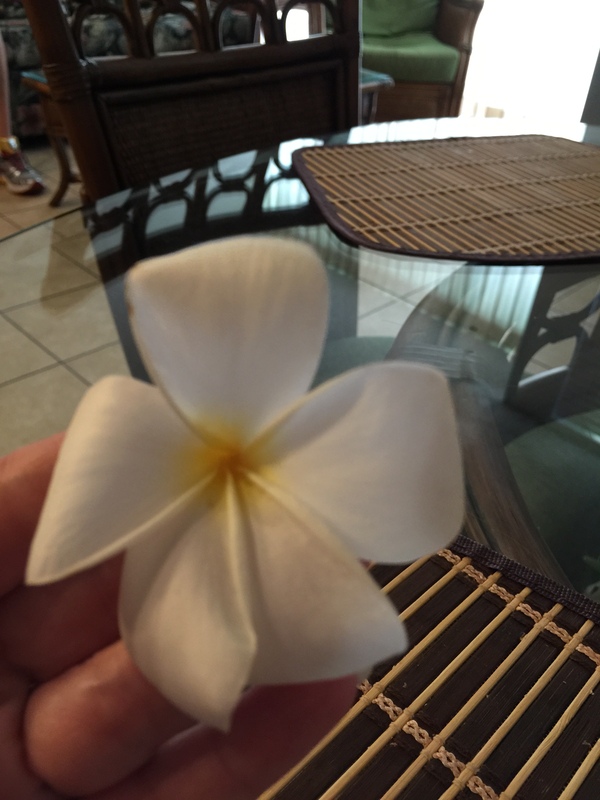 The plumeria tree outside our condo door often left these gems on the sidewalk. Look-out on our way to Lahaina. More Paia Fish Market, Southside this time. Terry always gets the fish & chips. 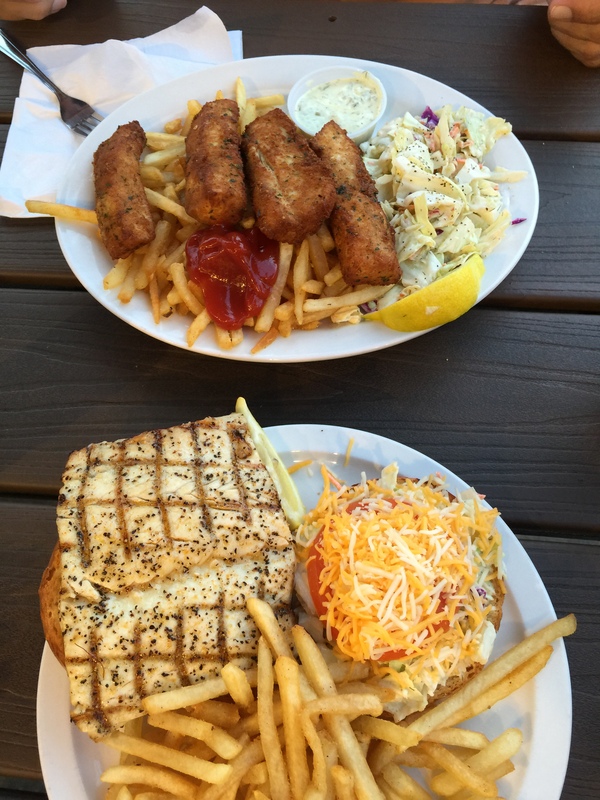 I always get the fish burger (mahi). Why mess with a good thing? Sunset view during the above dinner. 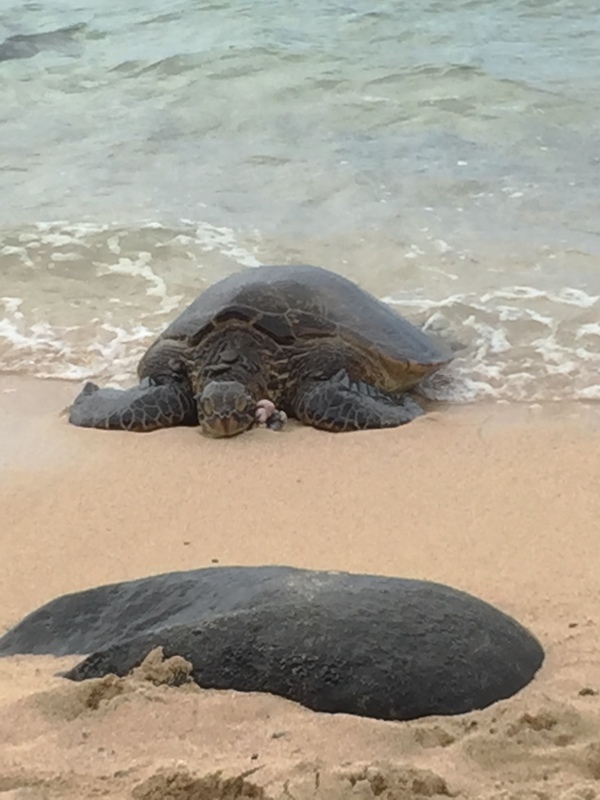 A beach a few miles south of Paia had 9 sea turtles on it one day. Keeping a respectful distance, there were quite a few of us observing these magnificent turtles resting on the beach. 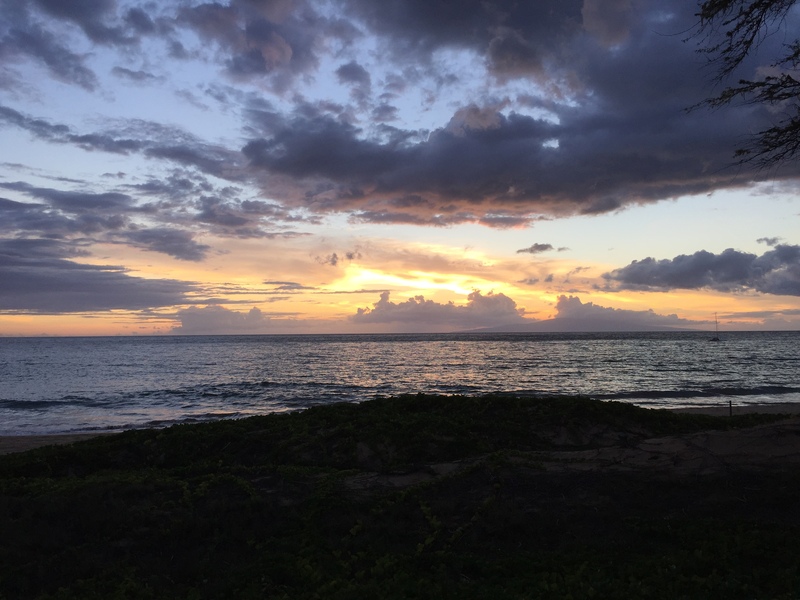 Toward the end of our week, it occurred to us that we hadn’t had any ice cream…enter Banyan Treats on Front Street in Lahaina. 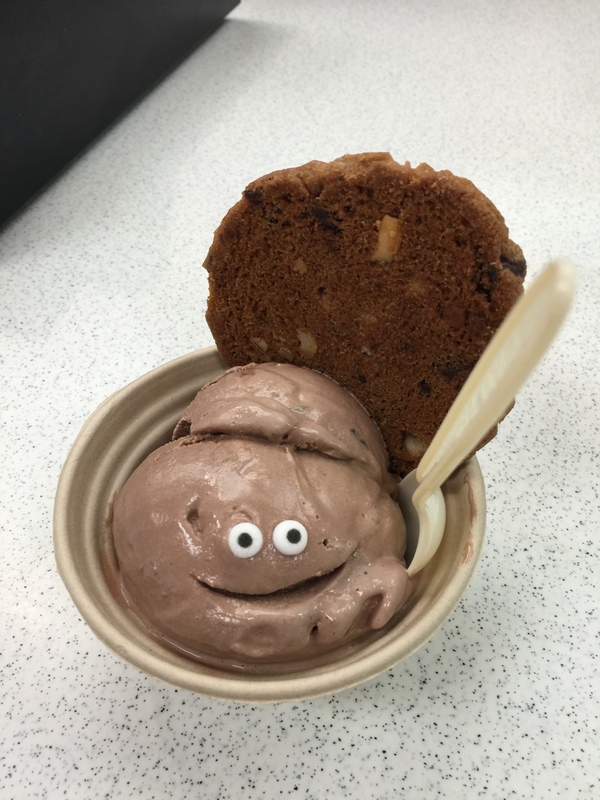 It didn’t disappoint – and the extra touch with the face on Terry’s ice cream is enough to let this photo make it to the blog. My favorite beach is just south of our condo a couple of miles. 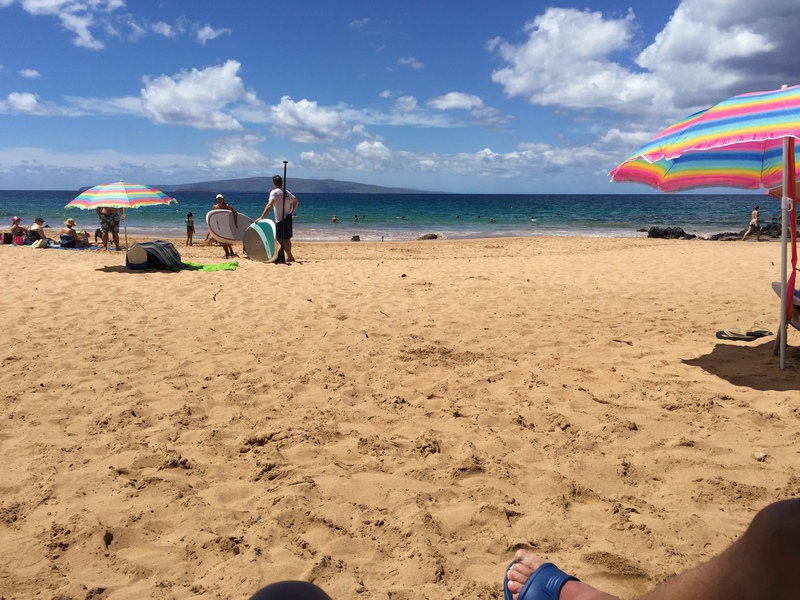 Keawakapu Beach starts in Kihei and goes south into Wailea (where “the other half” vacation!). Last sunset for this trip. Caught up on travel. Now I can get serious about packing for ENGLAND! My traveling companion has been packed since June. She’s way ahead of the game. I’m still ordering shoes on Amazon and hoping to find some that will be perfect for the trip. Here’s hoping the two pair arriving next week will be potential options! Previous PostPhiladelphiaNext PostWill it happen? 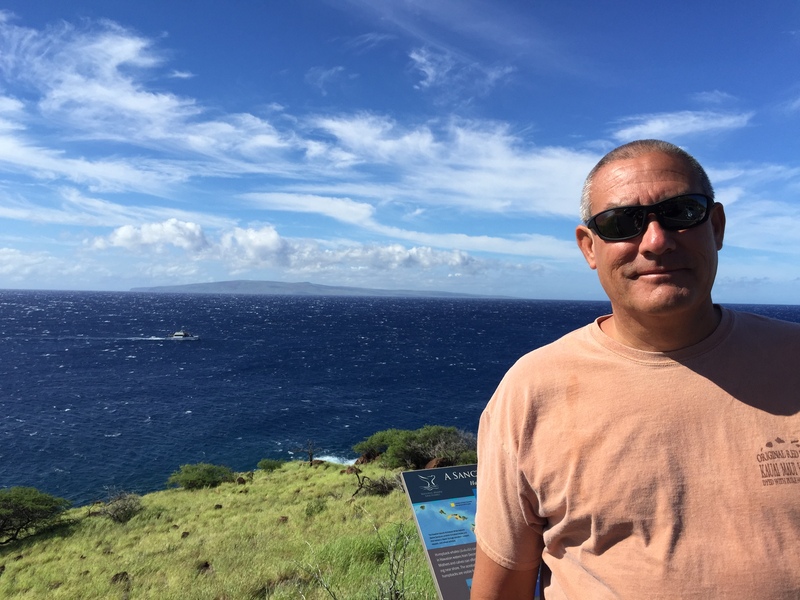 Loved your photos, makes me really miss Maui though!